It’s amazing what you can fit into a couple of days away if you plan it right. With just a few well-chosen stops you can turn a weekend into what we like to call a Micro-adventure. Here’s a roundup of our favourite mini journeys, with days spent on the move and a different place to stay each night. They let you dip into a region, making long weekends feel like whole week of exploration. A route for fans of winding drives, seafood, a salt tang in the air and challenging hikes. Set off from the banks of Loch Lomond, visit the timber pyramid of An Ceann Mor, and explore Scotland’s striking west coast before heading to the The Loch Fyne for oysters on the water’s edge. Day 1 – Start by visiting the An Ceann Mor pyramid, built to frame the incredible views at Invergulas. Here you’ll get a sense of the real size of Loch Lomond below. There’s a host of wildlife too and it’s an amazing spot for bird watching. Stay: The Creggans Inn, 30 minutes’ drive away in Strachur on the shores of Loch Fyne, with views out to the mountains of Kintrye and lovely, home cooked food. Day 2 – Head north on the A819 for one hour up to Sithean, passing mountains and lakes as you meander along. Once you pass Cladich, you will drive alongside Loch Awe, which definitely lives up to its name. As you make your way around the northern end of the Loch, you pass Kilchurn Castle and continue along the base of Ben Cruachan. This is a brilliant spot to stop off and take on the ridge walk to Stob Daimh, passing the Cruachan reservoir with its towering dam. Stay: After a full day of walking you’ll be ready to light the hilltop BBQ at your stop for the night – the wood-panneled cabin at Sithean. Day 3 – Drive an hour along the coastal road to Fort William. You’ll pass Ben Lora – a relatively unknown beauty spot. It’s well worth getting out of the car to take a look at the ranks of hills stretching away, although this stretch of coastal road isn’t stingy with its scenery of mountain-fringed lochs. From here, the highest mountain in the British Isles is within your reach: Ben Nevis. 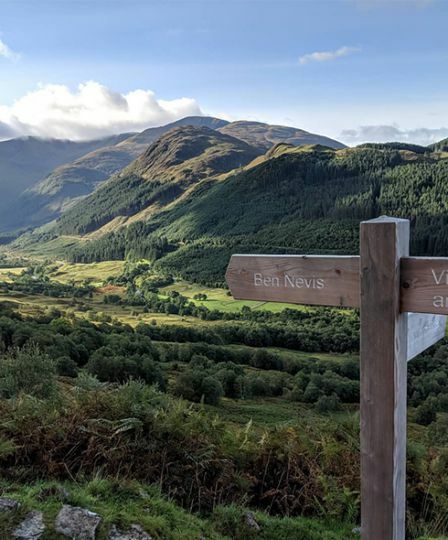 The Mountain Track (less technical for the non-climbers among us) is easily accessed from Glen Nevis and the ascent takes around 8 hours. The view from the top is spectacular, when it isn’t completely obscured by clouds, but the walk will get you ready for supper either way. Stay: Settle into the quiet Ard Daraich Garden Studio, raise a toast to your hiking prowess and (again, weather permitting) stargaze the stunning skies. A fantastic, car-free circular trip that sweeps across the lovely Cornish countryside from sea to sea. Start in the gentle south, take in the dramatic North and cross wilderness in between. Fuel yourself on the eponymous pasty, drink some fine local ales and soak pedal-weary feet at the beach. Day 1 – Take the train from London Paddington and arrive in St Austell in four hours. 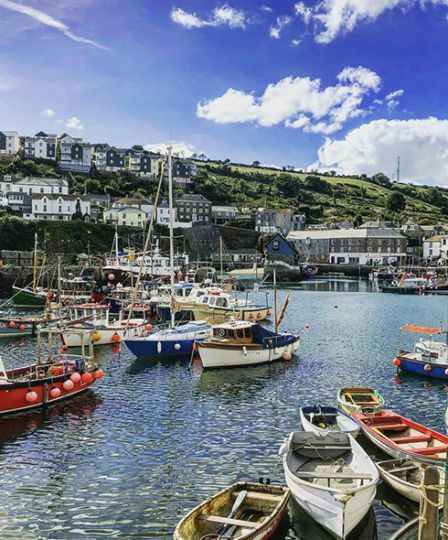 From here, cycle to Mevagissey, a nice little harbour town with great seafood options. Wind your way up the coastal roads before heading inland at East Portholland and following National Cycle Route 3 to the Tresillian river. After 14 miles – around an hour and a bit of cycling for most of us – you will arrive at Truro. Stay: Cool and elegant Bolotho Barns in Killiow, a hamlet just outside Truro. Pop down to the local pubs or pick up food from the nearby grocery store to cook dinner. Day 2 – Head north to Truro and then inland towards Moresk, passing the Cornwall Area of Outstanding Natural Beauty. You’ll cycle on a tiny country lane alongside the River Allen, passing fields of cows and sheep. After 50 minutes (or nine miles at whatever pace you keep), you’ll come across Peranporth – a perfect pasty stop. From here you can either stay for a day at the beach or, if you’re eager to get back in the saddle, head north towards Newquay – an extra 7.9 miles. Indulge in beautiful seafood on the waterfront before turning in for the night. 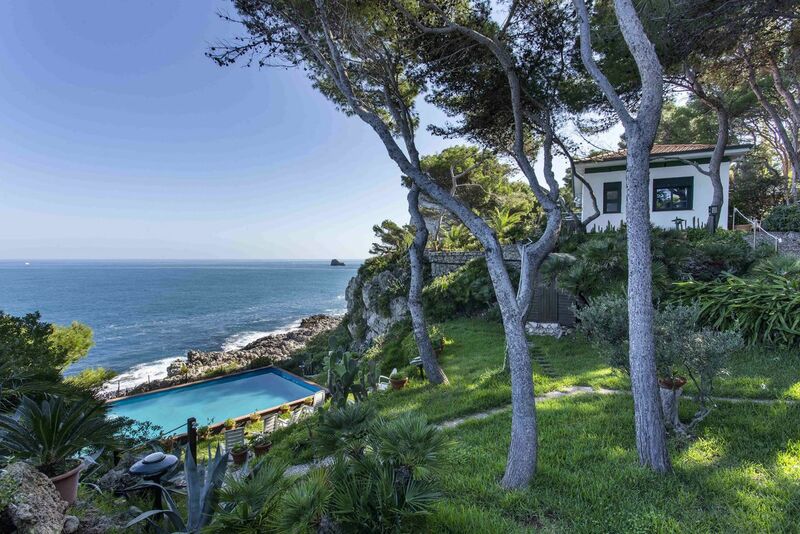 Stay: Lewinnick Lodge – A hotel whose spectacular raised terrace looks straight out to sea and catches the finest sunsets. Day 3 – In the morning, take the A3058 out of town to rejoin National Cycle Route 3. The roads ahead are some of the most challenging of the trip. You’ll climb through the otherworldly landscape of Cornwall’s clay country to a summit where you’ll be rewarded with beautiful views. From here, head an hour south to charming Charlestown, for a pint of ale on the sea wall and well-earned rest. Day 4 – After three days of cycling, you might be relieved that it’s just a 13-minute cycle back to St Austell and home! 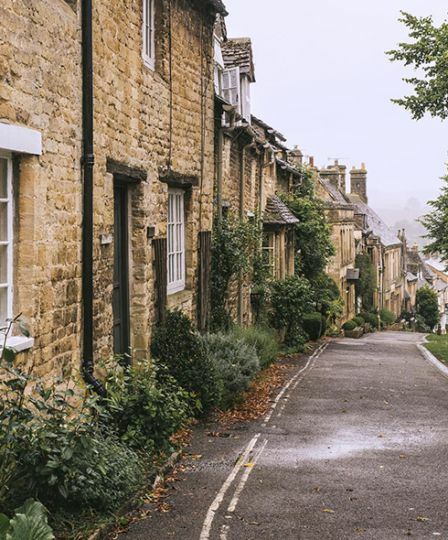 The Cotswolds AONB (the largest of all England’s 38) is nearly 800 square miles and encompasses five counties so offers plenty to explore whether you set off from London, Oxford, Bristol or Bath. It’s crisscrossed with rivers, dotted with timeless English villages and gentle, level walks. Day 1 – The first stop is ancient Castle Combe. Just south of the Cotswolds, the little village consists of beautiful old stone buildings and thatched houses. Stop for scones in a tea room, or a cake from the honesty rack outside the house opposite the village pub. You’ll be charmed by a vision of England unchanged for centuries. From here, head north through the heart of the Cotswolds until you arrive at Stroud – the ‘capital of the Cotswolds’. Tour the small, independent Stroud brewery and sample organic beers served with wood-fired pizza before heading home for the night. Stay: In the smooth stone B&B at Hammonds Farm or overlooking the rows of vines at Woodchester Valley Vineyard Barns. Day 2 – Visit Woodchester Vineyard (either from round the corner or straight out of bed!) then set off to Broadway – a pretty village with charming art & craft shops, and independent restaurants. From here, you can set out on the Costwold Way and follow the footpath 6 miles to Chipping Campden, passing the 17th-century Almshouses and viewpoints overlooking Evesham and Broadway tower. End the day with sundowners on the roof terrrace of your grand stop for the night. Day 3 – Drop a last gem into the trip with a stop at Burford on your way back to London. Burford is full of honey-coloured cottages sprawled along the banks of the River Windrush, with a lovely blend of medieval and modern charm. It’s also a great place to pick up an antique or two. If you’ve got the time and the appetite, stop off for a Sunday lunch at The Swan, close to Burford’s shops. Inside, all is comfort and calm. A log burner warms the generous hearth, there are beautiful old beams in most rooms and the menu is simple yet delicious. This is a short but sweet road trip that takes in both the rugged coast and the mountains inland. 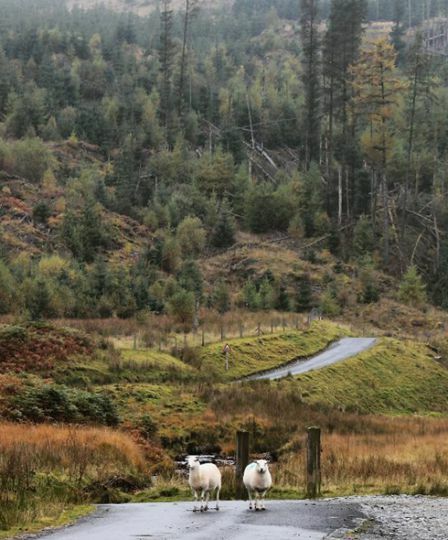 Explore quirky independent shops one day, take the pass into the depths of the countryside the next, then put on your backpack and conquer the Cambrian mountains. Day 1 – Explore Aberaeron, a pretty seaside town with a cluster of independent shops. You can even stop off for a real ale or a fresh fish dish in a Sawday’s pub – The Harbourmaster. In the evening, it’s less than ten minutes’ drive to two cottages in a Dark Sky area. Stay: Banceithin, barn-conversion eco-cottages in a Dark Sky wildlife haven. Day 2 – In the morning, drive towards Tregaron and then onto The Abergwesyn Pass. You’ll often feel like the only person on the road as it runs through a wild landscape of moors, escarpment, pine forest and scurrying streams. Although you’ll find it early in the journey, the picnic site of Washpool is a lovely stop, especially in summer when kids can play in the crystal clear rock pool. You’ll also pass Soar y Mynydd on the way, the most remote chapel in Wales. Stay: Troedrhiwgelynen, a beautiful self-catered home in Llandovery, high in the Welsh mountains and in the middle of an RSPB reserve. Day 3 – After a hearty breakfast, drive just over an hour and you’re in the heart of the Cambrian mountains. There are some amazing walking routes to choose from – The Ridgetop Trail, The Hafod and the Elan Valley are particularly beautiful.